The oldest country in central Europe, Uzbekistan, might be an unusual, but original choice as a MICE destination. Not surprising when you check its possibilities. The country is perfectly suited to host all kind of events and incentives! Desert safaris, hiking, paragliding and heli-skiing are only some of the spectacular activities waiting for you in our country. The Naratau Mountains also offer great opportunities for eco tourism. With the famous Silk Road running through, Uzbekistan is a country of great culture, it still has the most beautiful palaces and mosques. Most of all, you will remember the welcoming people and their kindness towards you. 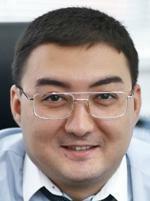 Further down the page: Read about our company * Travel facts Uzbekistan. 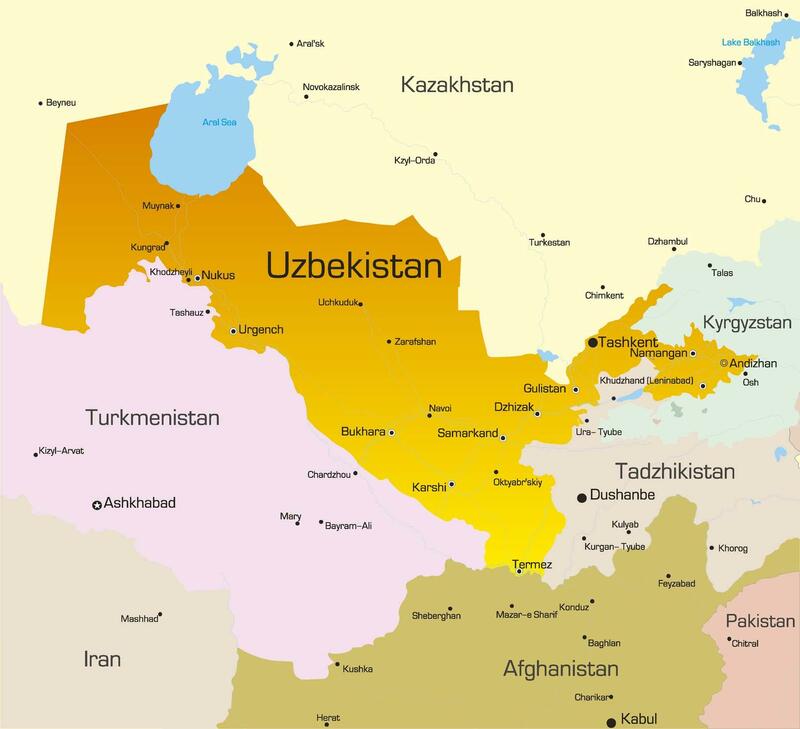 There is also a map of our country and our latest Uzbekistan travel news. Dolores Travel: If you want to start working with a professional DMC in Uzbekistan, we are definitely the right partner. Our 25 person strong team stands for an enthousiastic, dynamic and experienced way of working. We go the extra mile to make you and your clients feel comfortable in working with us and make sure that your stay in our beautiful country will not be forgotten! Andijon lies in the southeastern part of the Fergana Valley. The city, which stands on ancient deposits of the Andijon River, dates back at least to the 9th century. Andijon has lovely bazaars and chaikhanas which are worth a visit. The people are very friendly. Bukhara, which is situated on the Silk Route, is more than 2,000 years old. It is the most complete example of a medieval city in Central Asia and is also considered one of Central Asia's holiest city. Bukhara has a wonderful old centre that probably hasn't changed much in two centuries. It is one of the best places in Central Asia for a glimpse of pre-Russian Turkestan. The picturesque Ferghana Valley is located in the eastern part of Uzbekistan and is one big oasis. Already by the 2nd century BC the Greeks, Persians and Chinese found a prosperous kingdom based on farming, with some 70 towns and villages. Khiva's history is inextricably connected with the history of Turkmenistan, because the territory was part of the legendary Khorezmshah's State with its capital in Urgench before. Khiva is a very ancient city.In the 10th century Khive is mentioned as a major trading center on the Silk Road.Khiva - a unique city, rightfully claiming the title of "the seventh wonder of the world", thanks to its authentic atmosphere of the 'era of the beginning of time. " Most of the city of Khiva is similar to the open-air museum. And the nucleus of this museum - castle Itchan Kala.In 1990 the city was included in the UNESCO World Heritage List. The Nurata Mountains top out at just over 2000m, but are rapidly becoming, along with manmade Lake Aidarkul further north, the centre of Uzbekistan's growing ecotourism movement.Nurata is most famous for its old, circle-patterned suzani, which can sell for thousands of dollars at international auctions, but it also has a few quirky tourist attractions, most notably an old fortress of Alexander the Great. No name is so evocative of the Silk Road as Samarkand. For most people it has the mythical resonance of Atlantis, fixed in the Western popular imagination by poets and playwrights of bygone eras, few of whom saw the city in the flesh.From the air your eye locks onto the domes and minarets, and on the ground the sublime, larger-than-life monuments of Timur, the technicolour bazaar and the city's long, rich history, indeed work some kind of magic. Surrounding these islands of majesty, modern Samarkand sprawls across acres of Soviet-built buildings, parks and broad avenues used by buzzing Daewoo taxis.You can visit most of Samarkand's high-profile attractions in two or three days. If you're short on time, at least see the Registan, Guri Amir, Bibi-Khanym Mosque and Shah-i-Zinda.